Thursday March 22, 2018 Watch for Details! Friday, March 23, 2018 - Watch for Details! National Parks Conservation Association is the leading voice for America’s national parks. Join NPCA’s regional and lobbying staff to discuss the current state of national park policy from Capitol Hill to the parks in our own backyard. 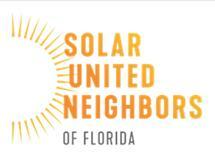 Solar United Neighbors of Florida expands access to solar electricity by educating Floridians about the benefits of distributed solar energy, helping them organize group solar installations, and strengthening Florida’s solar policies and its community of solar supporters. 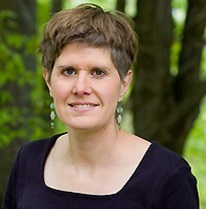 The Global Sustainability and Earth Literacy Studies (GSELS) Learning Network provides inclusive educational opportunities for the Miami Dade College community to explore global citizenship, ecological sustainability, and civic engagement, through understanding planetary challenges and limits and by developing values, skills, and behaviors that promote prosperity and communities of well-being. This workshop focuses on food production and sustainability. The global food web has become increasingly more complicated with the industrialization and globalization of our world. 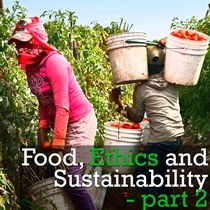 Participants will build upon exploration of their own relationship with food to delve deeper into the interconnections between food, politics, health, environment, ethics and justice. 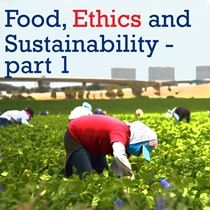 This workshop focuses on food production and sustainability. The global food web has become increasingly more complicated with the industrialization and globalization of our world. 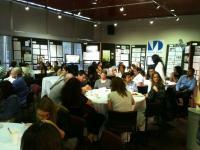 Participants will identify impacts of our eating choices on farm animals, social justice and human rights issues. How climate change affects food supply and how food production impacts climate will be explored. Participants must have completed Part 1 of this workshop. 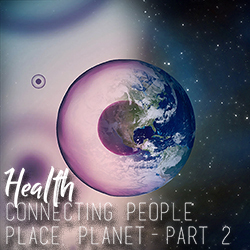 This workshop explores the appropriate relationship of human beings to Earth. As participants engage in readings and discussion questions, they will share observations and reflections on our relationship to Earth, the threats of ecological imbalance, what we can do to create a paradigm shift and make lasting, impactful change, and what the role of higher education is in creating a future generation of Earth literate citizens. 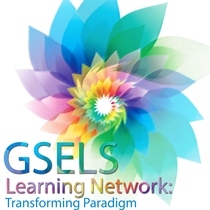 This workshop offers an overview of Earth Ethics Institute’s Global Sustainability and Earth Literacy Studies (GSELS) Learning Network. Participants learn about development and operations of GSELS. GSELS faculty learn how to broaden their GSELS-designated courses to include additional GSELS course criteria, as well as best practices of faculty learning communities. Participants explore Sustainable Education, a concept created by Stephen Sterling and described as “a change of educational culture, one which develops and embodies the theory and practice of sustainability in a way which is critically aware. Contrast will be made of mechanistic versus ecological worldviews, and a multidisciplinary collaborative approach to education will be endorsed. 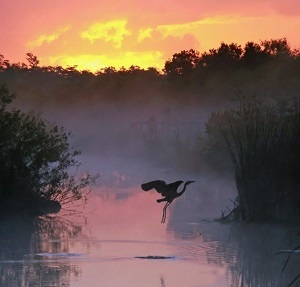 of the largest urban park in the Florida State Park System. Oleta River State Park is a 1,043 acre natural and recreational area surrounded largely by high density residential and commercial developmental. 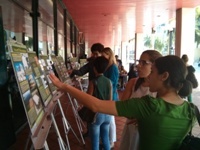 Park administrators have developed alliances with a range of compatible user groups. The need for sustainable design and resilient infrastructure is becoming more and more apparent in this era of increasing threats due to climate change. Miami is widely recognized to be one of the most vulnerable areas of the United States to sea level rise. 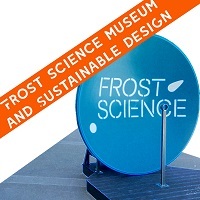 The Patricia and Phillip Frost Science Museum was designed with this in mind, and serves as a model of practical applications of sustainable design. 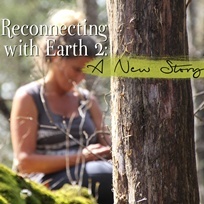 Faculty and staff will retreat at Narrow Ridge Earth Literacy Center to reflect on Culture and Cosmology, Foundations of Resiliency, and the necesarry Paradigm Shift that has been EEI's focus from its inception. Participants will be encouraged to nurture views that are compatible with the Earth's systems and to encourage all to apply these views across the disciplines into the curriculum at MDC. Facutly and staff will be selected from participating GSELS Faculty to participate. 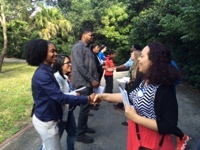 The Next Generation of Global Leaders are Stepping Forward - JOIN US! Narrow Ridge Earth Literacy Field Experience - Apply In December!